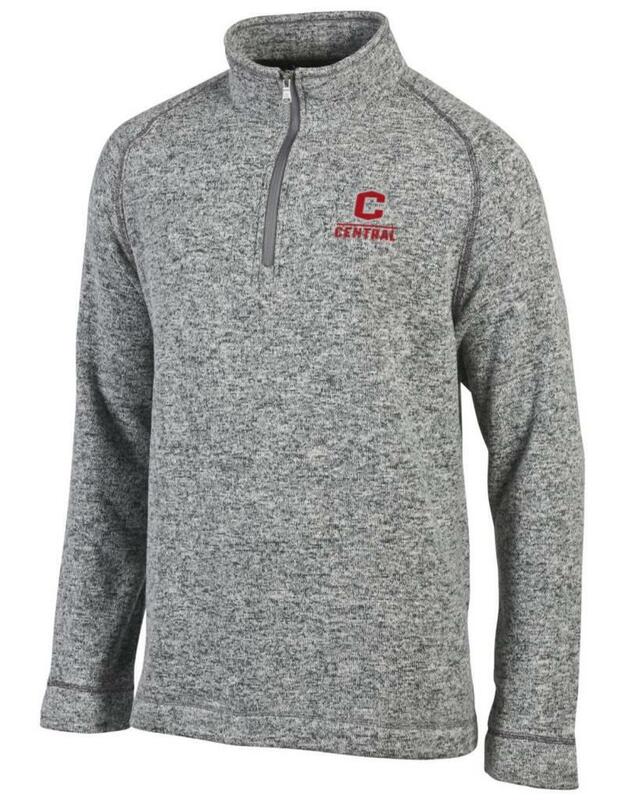 100% polyester knit 1/4 zip. 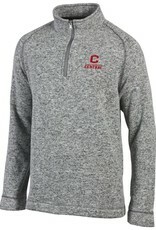 Gray with fleck knit. Loose fit. Raglan sleeves.